San Diego County CCW Permit Course administers the curriculum and live fire qualification mandated by San Diego County Sheriff's Department Licensing Unit, and California Penal Code Section 26165(a). Successful completion of this course, satisfies the training requirement for the issuance of a San Diego Sheriff's Department CCW permit. 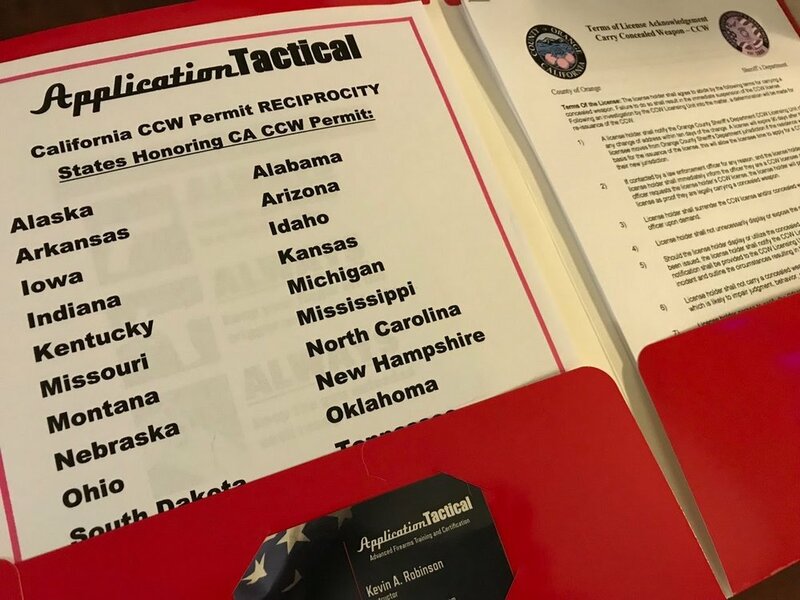 *Application Tactical provides the required training and certificate to obtain your CCW permit, however, the San Diego County Sheriff's Department is the issuing authority. A fluid evolution, consisting of rapid fire, speed reloading, stress drills, shooting on the move, and addressing multiple threats, *Steel, and reactive steel targets are utilized.